Annen GmbH & Co. KG is a manufacturer company from Germany which gives products and services in the areas plastering contractor, landscaping contractor, doors - houses, roadlaying contractor, consulting - construction and civil engineering, civil engineering contractor, tiling and paving contractor, . People from many countries love the presented services and wares. Benefit from the wide range. At this site you will find all the contact resources such as phone number or webpage. Pusch Bau GmbH & Co. KG is a manufacturer company from Germany that provides goods and solutions in the sectors civil engineering contractor, asphalt and tar - building materials, landscaping contractor, consulting - construction and civil engineering, . Clientele from many foreign territories value the provided services and goods. Get advantage from the huge selection. At this webpage you will discover all the contact resources like phone number or web page. 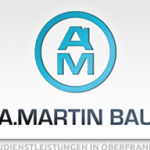 Martin Wurzel Bau GmbH is a manufacturer company from Germany that works in the areas fences and gates, roadlaying contractor, civil engineering contractor, consulting - construction and civil engineering, tiling and paving contractor, glass bricks, plastering contractor, landscaping contractor, . Clients from a number of lands appreciate the offered solutions and items. Profit from the large collection. On this page you will discover all the contact detail just like telephone number or webpage. Ludwig Graf GmbH & Co. KG is a manufacturer firm from Germany that works in the points consulting - construction and civil engineering, structural work, construction - industrial - contractor, plumbing contractor, building company, civil engineering contractor, landscaping contractor, . Purchasers from numerous countries value the presented solutions and items. Profit from the wide assortment. On this webpage you will find all the contact details including phone number or website. Martin Massivbau GmbH is a manufacturer firm from Germany which is active in the points plastering contractor, consulting - construction and civil engineering, landscaping contractor, restoration and renovation contractor, tiling and paving contractor, architects, . People from many different regions value the offered solutions and products. Profit from the massive range. On our webpage you will find all the contact data such as phone number or web presence. Ernst Späth GmbH is a manufacturer organization from Germany that is active in the areas stones, civil engineering contractor, foundations construction, landscaping contractor, building company, consulting - construction and civil engineering, . Buyers from numerous different lands like the supplied solutions and wares. Get advantage from the large assortment. At this page you will locate all the contact detail that include phone number or website. Bauer Bauunternehmen GmbH is a manufacturer company from Germany which works in the points asphalt and tar - building materials, landscaping contractor, import-export - construction, roadlaying contractor, plastering contractor, fences and gates, sports facilities, civil engineering contractor, consulting - construction and civil engineering, building company, tiling and paving contractor, . Purchasers from multiple regions benefit from the supplied services and goods. Benefit from the big selection. On our website you will find all the contact data which include telephone number or web page.